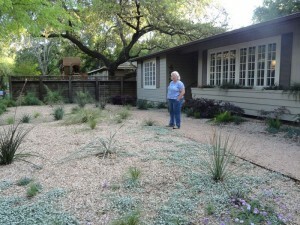 People are reworking their yards getting ready for summer. 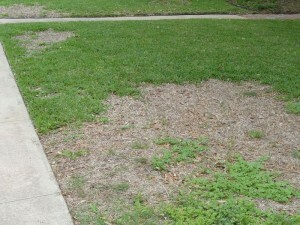 Given the recent drought conditions and forecast for more of the same, neighbors are pulling up the St Augustine and replacing it with a more drought-toleratant variety, or with something other than grass. For some the transformation has been a gradual process that started a few years ago. 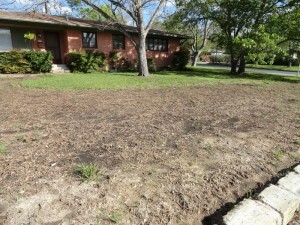 For others like myself (see photo at left), they just have a yard with large sections of dead grass needing attention. 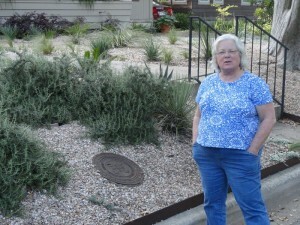 What follows are some examples of what Allandale residents have done. 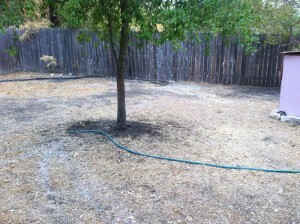 We got rid of the grass about nearly 4 years ago. We built raised beds and made permeable walkways with crushed granite, pebbles, and stepping stones. 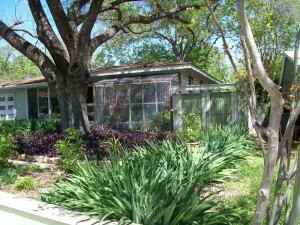 Plantings have been somewhat experimental with emphasis on drought- and shade-tolerant evergreen plants. 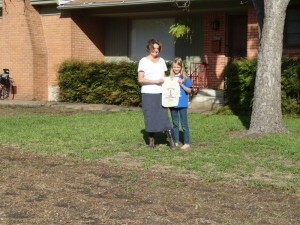 Photo to the left is Kerry and her daughter Piper Wiest standing on the remaining St. Augustine grass holding the empty bag of Habiturf seed they planted in the large section of the yard in front of them. 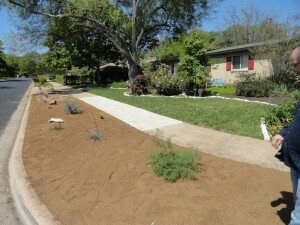 My husband and I replaced (or rather had a landscaper) our front yard with crushed gravel and plants that mostly require no water. It is photogenic. 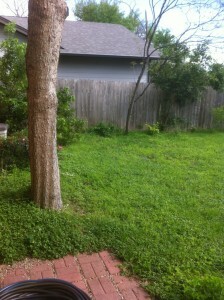 I am letting the St. Augustine die & will replace with buffalo grass. 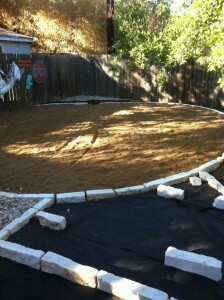 Then I added crushed granite covering 2/3 of the back yard. 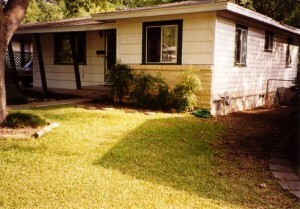 It covers 1/4 of the front yard. 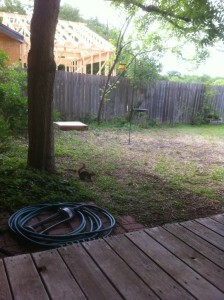 Still need to add some native plants. 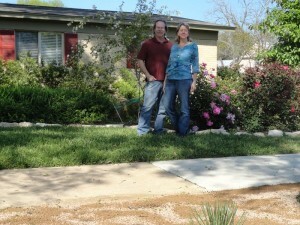 Photo on far left is Chuck and Sarah in front of their beautifully landscaped yard. It was a multi-year effort.